Rehabilitation services covered by Medicare include physical therapy, occupational therapy and speech-language pathology. The Centers for Medicare & Medicaid Services (CMS) defines physical therapy as the treatment of injury and disease by mechanical means such as heat, light, exercise and massage. 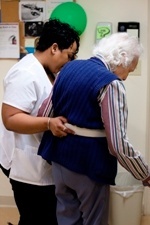 Occupational therapy includes services given to help a patient regain the ability to perform activities such as bathing, making meals and housekeeping following an illness. Speech-language pathology services treat diseases of the voice and defects of speech, and spoken and written language. 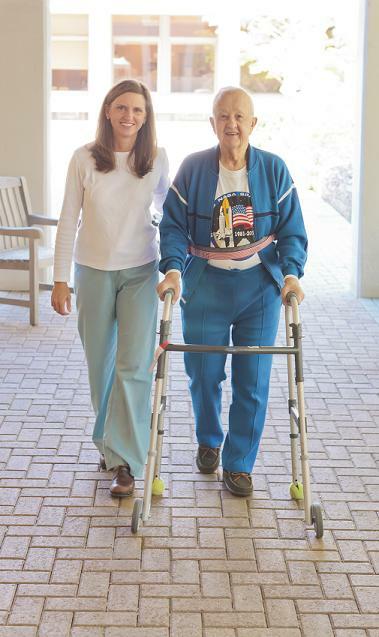 Medicare beneficiaries might need rehabilitation care to regain abilities like speaking and walking after an illness or injury such as a broken hip or a stroke. Patients may enter a treatment facility or outpatient care program if a doctor decides that rehabilitation services are medically necessary. Beneficiaries can receive this care from any Medicare-certified service provider. They might base their choice on the recommendations of a hospital discharge planner, social worker or case manager. The patient may receive rehabilitation care in a skilled nursing facility, an inpatient rehabilitation facility or on an outpatient basis depending on the intensity and frequency of the treatment deemed necessary by their physician. Skilled nursing facilities can administer rehabilitation services if a doctor determines that a patient needs skilled care every day to improve their condition. 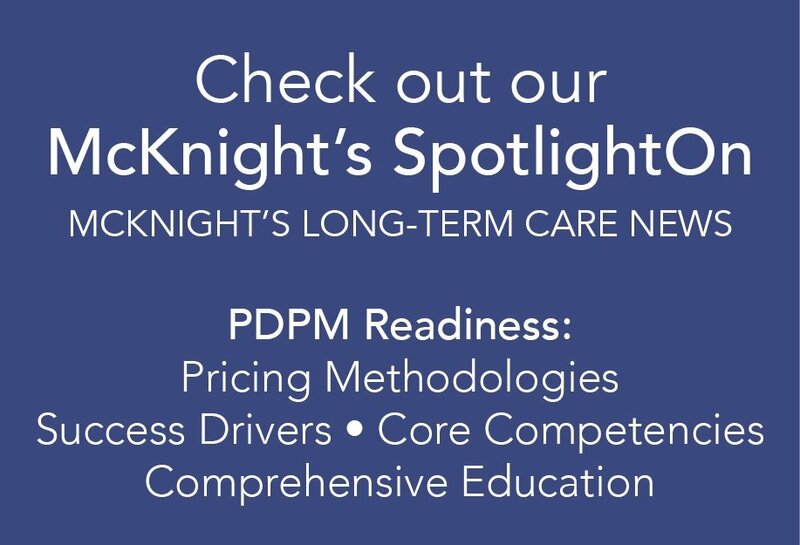 The CMS defines skilled nursing facility care as rehabilitation services provided on a continuous, daily basis such as physical therapy or intravenous injections that can only be given by a registered nurse or doctor. Skilled nursing facilities can be part of nursing homes where long-term custodial care (which is not covered by Medicare) is provided. 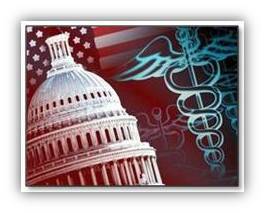 Medicare will cover a skilled nursing facility stay following a hospitalization of at least three consecutive days. Patients must enter the facility within a certain period of time (generally 30 days) following their hospitalization. As of 2012, Medicare Hospital Insurance (Part A) covers up to 100 days in a skilled nursing facility, and the patient receives full coverage for the first 20 days in the facility. From days 21 to 100, the patient pays $144.50 per day, and Medicare pays the rest. After 100 days, the patient must pay the full cost of staying in the facility. Medicare Hospital Insurance (Part A) also covers treatment at inpatient rehabilitation facilities. The CMS defines an inpatient rehabilitation facility as a hospital or part of a hospital that provides an intensive rehabilitation program to inpatients. In order for Medicare to cover care at one of these facilities, the patient’s doctor must certify that inpatient hospitalization for a relatively intense, multidisciplinary rehabilitation program is medically necessary. Beneficiaries in traditional Medicare (Part A and Medicare Medical Insurance (Part B)) pay a deductible of $1,156 as of 2012 for the first 60 days of their stay at an inpatient rehabilitation facility (which can be freestanding or part of a hospital). There is no co-payment for the first 60 days of the benefit period. Patients must make a co-payment of $289 per day for days 61 to 90. After that, beneficiaries make a co-payment of $578 for each “lifetime reserve day” after day 90 (limited to 60 days over a patient’s lifetime). Part B covers outpatient rehabilitation services. In order to receive coverage for outpatient rehabilitation care, a patient must have a plan of treatment set up by a doctor or physical therapist that is periodically reviewed to determine the duration of the rehabilitation care. This care may be administered at a medical office, an outpatient rehabilitation facility, a skilled nursing facility or at home. Part B pays for 80 percent of the Medicare-approved amount for therapy services. There are limits on how much the program will pay for outpatient therapy each year. The therapy cap for the calendar year 2012 is $1,880 for physical therapy and speech-language pathology services combined and $1,880 for occupational therapy.